Greenwich Village in the teens was a forward-thinking place, populated by artists and writers, anarchists and free-love practitioners, labor leaders and birth-control proponents. 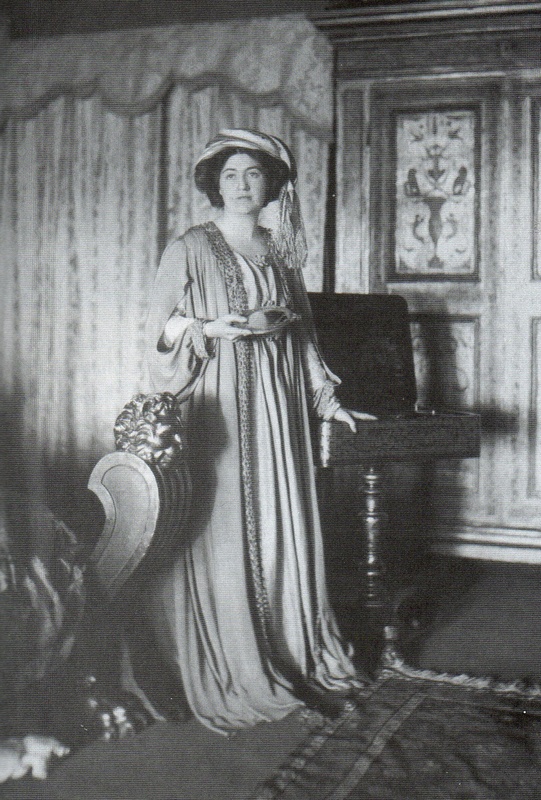 Bringing them together each week in her apartment at 23 Fifth Avenue was 33-year-old Mabel Dodge. Born rich in Buffalo, she found herself in the Village in 1912 after spending years in Italy with her second husband, where she mixed with the European culturati. In New York, now divorced, Mabel decided to gather the city’s “movers and shakers” together during weekly salons, where ideas could be presented and debated. Mabel’s salons were legendary. Anarchist Emma Goldman talked to poet Edward Arlington Robinson, while Planned Parenthood founder Margaret Sanger chatted up artist Alfred Stieglitz. The salons came to and end after a few years. Mabel wrote for various publications and put out her memoirs in the 1930s. By then she was living in Taos, New Mexico, with her fourth husband. She died there in 1962. This entry was posted on October 10, 2009 at 7:18 pm and is filed under Music, art, theater, Poets and writers, Politics, West Village. You can follow any responses to this entry through the RSS 2.0 feed. You can leave a response, or trackback from your own site.